Replace your Land Rover Defender Handbrake parts. 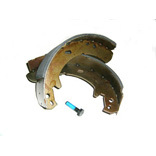 We have handbrake shoes/pads, adjusters, handbrake cables, return springs and more. Paddock Spares sell handbrake parts for all Land Rovers. Our Defender range includes parts for the 'Rod operated to LA935629 Handbrake' and the 'Cable Operated from LA935630'. 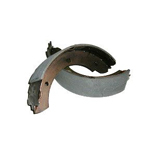 We have all the associated parts that you'll need to fix your Land Rover Defender handbrake.